I’m an entrepreneur who, with many talented others, helped to build some lasting TV brands like CNBC, HGTV and Food Network. Even so, my checkbook is often unbalanced, I don’t garden, and can’t cook. It’s kind of freeing to know you don’t have to master every little thing to add value to an organization. When I was chief operating officer of HGTV, it become one of the fastest growing TV brands in history, and with a great team we built the TV network group there to a market value of over $14 billion. Now I write, speak and mentor women and men curious about their promise, and wanting to grow their potential. I used to think I was an extrovert. I know now that connecting with a single person heart-to-heart is what leaves me smiling. I’ve always been open to admitting mistakes, but not so open with my emotions, especially around the men who dominated the cable TV industry I joined in my 20s. The strategies I learned to survive and thrive in male-dominated industries became the core of my first book, New Rules of the Game. Still, trust was not my strong suit. Then I joined HGTV and that all changed, thanks to the culture we created and the team who earned, and deserved, my trust. That’s the story of Fully Human, how trust is the powerful emotion that binds us to do our best work. How success is an inside job. I’ll nudge you in my writing, or when we’re together to become more open. Tell me how you see the world. I live a moment at a time and will share all the good reasons you should, too. More than anything, I believe we’re all here for some purpose, and our most important work is to find it. Thank you for visiting my site. You can sign up to follow my blog or visit my social media pages if you’d like to learn more from my ongoing writings, and please recommend my site and book to anyone you know who might benefit from my experience and advice! Susan Packard has been on the ground floor and helped to build powerhouse media brands like HBO, CNBC, and HGTV. She was the co-founder of Scripps Networks Interactive and former chief operating officer of HGTV. Under Packard’s helm, HGTV became one of the fastest growing cable networks in television history. Today HGTV is available in more than 98 million U.S. homes and distributed in over 200 countries and territories. Packard helped to build Scripps Networks Interactive to a market value of over $14 billion. 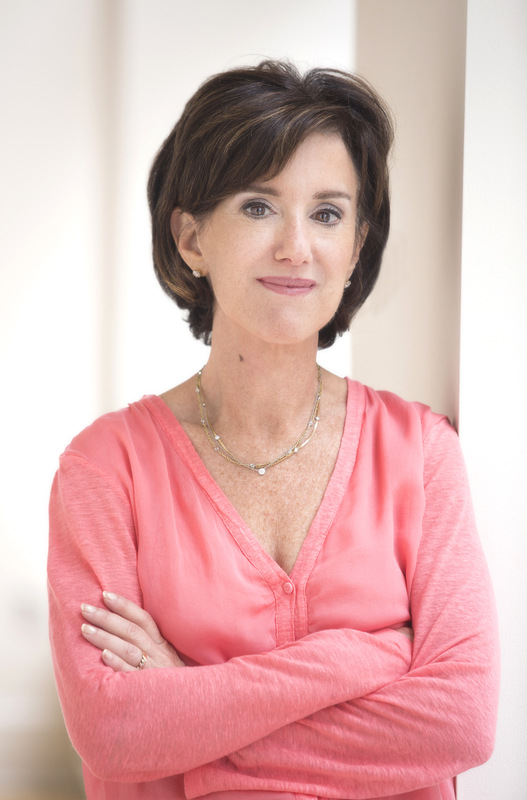 Susan Packard is co-founder of Scripps Networks Interactive (NYSE: SNI) and former Chief Operating Officer of HGTV. She was the 2nd employee of SNI and helped to build the company to a market value of over $14 billion. She began her cable career at HBO, then moved to NBC and was part of the start-up team for CNBC. In 1994 she joined HGTV and became Chief Operating Officer in 1995. Under Packard’s helm, HGTV became one of the fastest growing cable networks in television history. Today HGTV is available in more than 99 million U.S. homes and distributed in 175 countries and territories. She has been recognized by industry peers, colleagues and employees as an innovator, role model and mentor. She received the Woman of the Year award by Women in Cable & Telecommunications (WICT) and was profiled in Modern Visionaries, a book chronicling the contributions of women to the cable and telecommunications industry. Contemporary Economics, a high school textbook, profiled her as an entrepreneur in the field of media specialization. CableWorld magazine honored her among “The Most Influential Women in Cable” numerous times. In 2008 she was inducted into the Cable Hall of Fame. Packard was the first woman elected to serve on the board of directors of Churchill Downs, Inc. (NASDAC: CHDN), the owner and manager of the Kentucky Derby and other horseracing properties. In that capacity, she served on the Audit, Strategic Planning, and CEO Succession committees. She is active in national and local business and community affairs. She was named a College of Arts and Sciences Outstanding Alumni at Michigan State University. She is past vice chair of the board of an independent collegiate day school, and an advisor on job training programs for the homeless as board member of Lazarus Ventures LLC. In 2011 was named to Villanova Business School’s Dean’s Advisory Council, and to the Tennessee Governor’s Commission on Film, Music and Entertainment. In recognition of her outreach work, she received the E.W. Scripps William Burleigh Award for distinguished community service. She was admitted to The Committee of 200, a select group of senior women executives dedicated to inspiring future women leaders in business. In 2015 she was elected to the C200 Foundation Board, charged with granting scholarships and doing outreach to young, aspiring business women. She is an active speaker at global business forums and at universities such as UCLA, Fordham, and the Darden Business School at University of Virginia. In February 2015, she spoke at Stanford Business School as part of SBS Executive Breakfast Briefings. Most recently, Susan has been certified to teach a form of meditation called Centering Prayer, and teaches leadership and mindfulness retreats at St. Mary’s, a retreat house in the Smokey Mountains of Tennessee. In February of 2019, Penguin/Random House will publish Packard’s new book, Fully Human, Three Steps to Grow Your Emotional Fitness for Work, Leadership and Life. The book offers a fresh, new framework for growing one’s emotional intelligence. She lives in Knoxville, Tennessee, with her husband and two female felines named Diva and Dart. They have a son, Andrew. She has written a book to help women lead in the workplace called New Rules of the Game, which was published by Penguin/Prentice Hall.